Spiritual attribute: Administration, Evangelism, goodness, faithfulness. 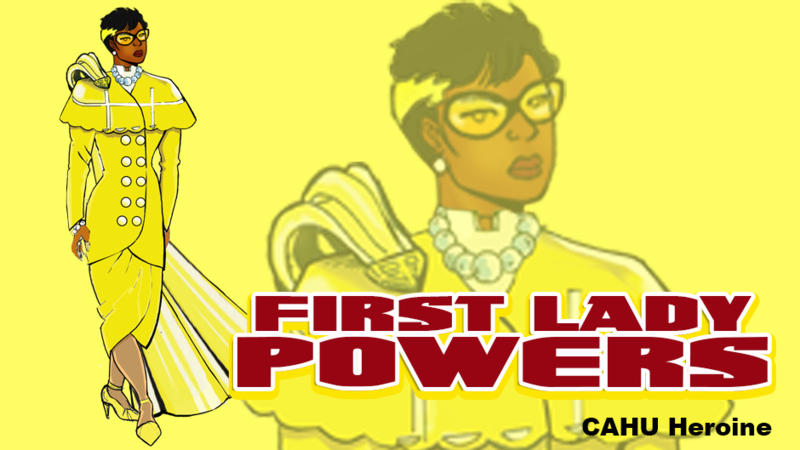 Powers and Abilities: Lady Powers is known across the world for her straight teaching and preaching of the Gospel. A dynamic Evangelist First Lady is the leader for the Maximum Ministries Prayer Warrior Division (PWD). They focus on destroying strongholds through prayer and fasting. Group Affiliation: Maximum Ministries, Western Operatives Research Division (W.O.R.D.) Technologies.